All classes are running during the school holidays. Children are most welcome. Our City class on the 18th of April 2019, will be held at BGI, Troupe House, 3 Mac Donald Cres at the same time of 5:45 pm. The St J's Centre is unavailable due to a church event. You can bring cash to class or by depositing the appropriate amount into our account (details below) and using your name as a reference. Pick up you concession card at your next class. Sorry no eft-pos facilities avaliable. I am a total beginner, can I start in any of the classes? YES! The dance moves in a Zumba® class are really easy to follow. Concentrate on getting the feet right first before you add in the arms. Once you have been a few times you will start to recognise the movements and your body will begin responding a lot quicker! There are plenty of ways you can adapt the movements to make it suit you. Please let Ani know before class if you have any injuries or health concerns. What do I wear/bring? Wear comfortable clothes that you can sweat and move in. Footwear should be supportive with the least amount of grip possible if especially attending our venues with carpet (Karori Baptist). How do I join the party? All you need to do is turn up a little earlier before your class of choice begins to settle in and say hello. 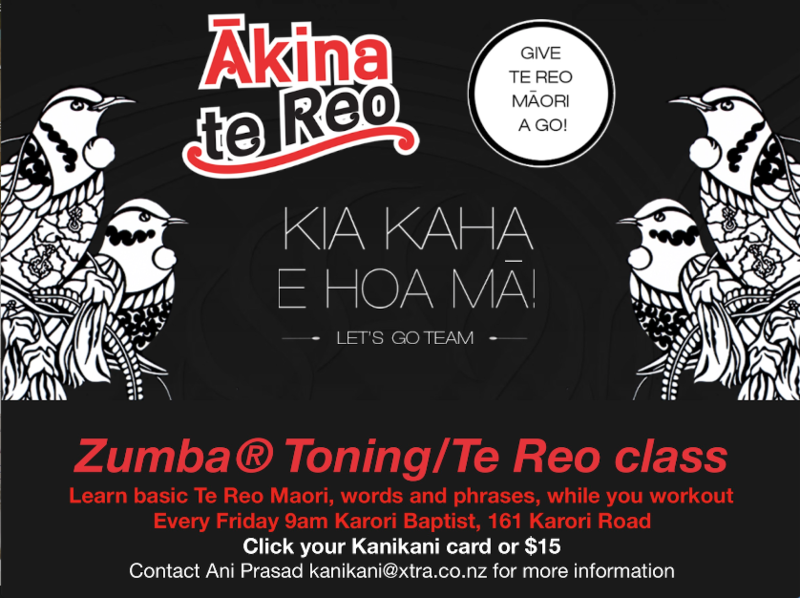 Contact Ani on kanikani@xtra.co.nz if you have any other questions. What is Zumba® Toning? Zumba® Toning is the ultimate body-sculpting workout in which we use Latin Rhythms and dance to tone your whole body. Lightweight toning sticks increase your rhythm and tone your target zones, including arms, abs, booty and thighs. See an example of one of our tracks on the video below.